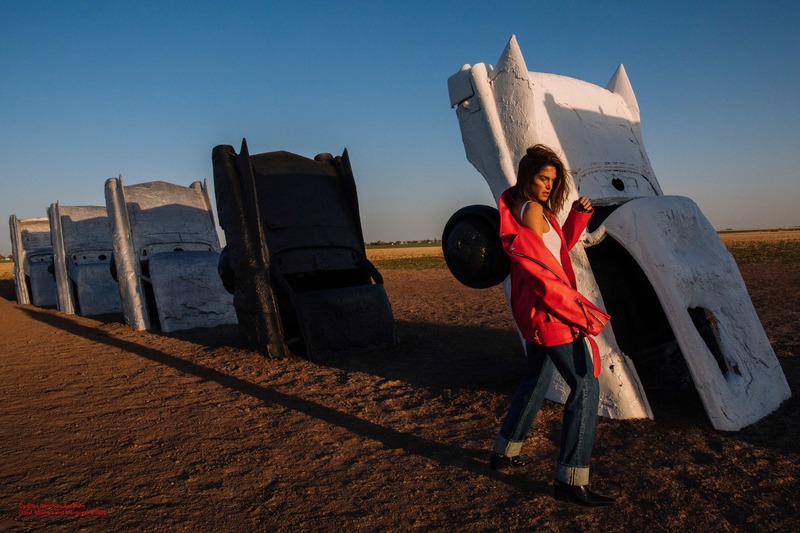 For their latest campaign, Acne have tapped into the bloodstream of iconic American culture, capturing supermodel Cindy Crawford at the famous Cadillac Ranch in Amarillo, Texas. 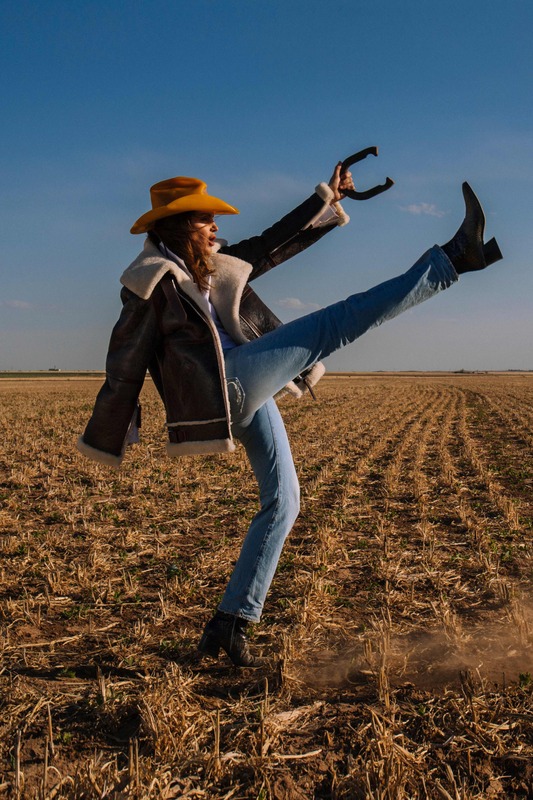 In a series of images reminiscent of Crawford’s infamous 1992 Pepsi ad, legendary Marlboro Man photographer Sam Abell depicts Crawford high kicking her way through cowboy country, in reissued versions of the brand’s earliest denims. 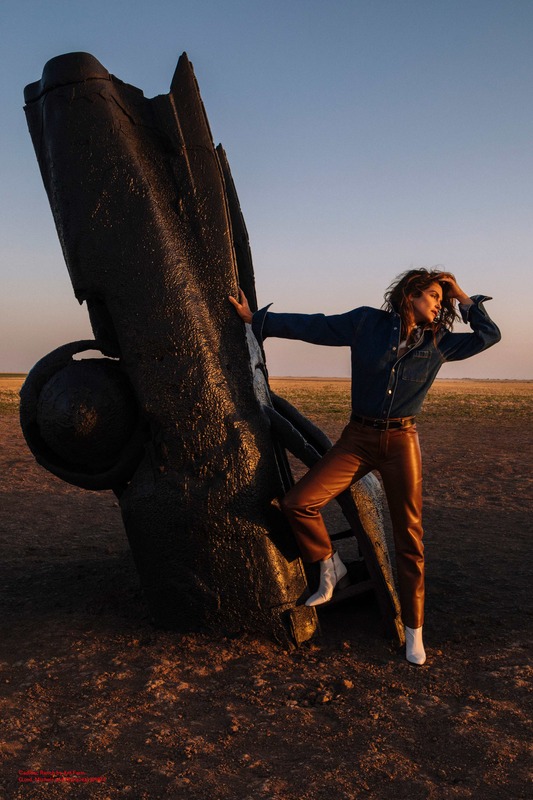 The campaign hinges on fashion’s obsession with the ‘icon’ and proves that to this day, there’s still nobody who looks better against a backdrop of the Wild West than Cindy. Crawford sports 1996 and 1997 models, reissued and reworked for 2018, as part of the label’s Blå Konst line. The 1997 is a five-pocket rigid jean with high rise and regular fit from hip to ankle, the 1996 is a men’s version of the same jeans. To coincide with the launch of this campaign, an exhibition of Abell’s campaign images will be held in Paris this September. Profits from photographs sold and exclusive exhibition merchandise will be donated to charity.